For over 25 years, we have delivered exceptional service to our customers. No job too big or small. Our goal is to deliver comfort and safety. 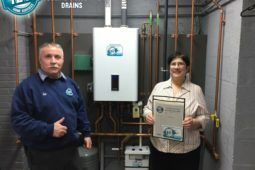 We only use the newest and greenest methods and equipment for your home and family. Delivering convenience and peace of mind is what we do. We keep you and your family cool all summer long! Reliability and experience carry our drain cleaning service. 100% Customer Satisfaction, no matter what. Need quality electrical services? We keep you and your family safe and make sure your wiring is working. 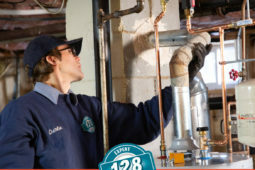 128 Plumbing, Heating, Cooling & Electric is committed to your comfort. We offer the highest quality services for plumbing, heating, cooling, and electrical services in the area. For more information, or to request an appointment, please click on the link below. We can’t wait to help you. At 128 PHCE, we promise you will receive the highest quality services from the finest technicians in the area, and we back this promise up with our protection plans. We ensure safety, comfort, and 100% satisfaction. If you have any issues with your plumbing, you will receive the benefits listed with the Plumbing Protection Plan. Our Heating Protection Plan covers both oil and gas heating systems. Both plans are catered specifically to whether you use a boiler or furnace to heat your home. With the Cooling Protection Plan, we ensure safety, comfort, and 100% satisfaction. If you have any issues with your cooling equipment under our cooling protection plan, you will receive the benefits listed.